It really depends! The only comic I publish has a pretty simple design, so I spend around 2-3 hours making each page (some times more, some times less... It really depends on what the page is featuring!) but if I was to make a comic with a more complex art it would probably take way more. Around 5 hours, maybe? But thats just me! It varies wildly; the day job can kinda kneecap my productivity depending on how exhausted I am at the end of the day. Uninterrupted, if I dont try to do anything New or particularly Fancy, about two hours to pencil and ink and another two to color. Wow, neat to hear from other artists, I've always been curious how long it takes other people! This is just for creating the pages though, I always have to go and re-edit the writing and how the story fits together, where the art goes, where the comic parts go. My comic/novel style though in general is different than anything I've seen online, and only a few times in bookstores with the mix of comic + novel. I'm absolutely an amateur. But for Bullets & Bonnets, the original sketch is usually about 15 minutes. Then uploading it can take nearly 10 because my equipment is infuriating. insert angry face The "inking" process is usually another 15, and the color/shading/text/resizing/uploading-multiple-times-because-I-forgot-to-resize-text is between 2-3 hours. That's a single week's upload. For Aetherwar it takes roughly 8-10 hours a page. I'm pretty proud of that because that's professional standards (even if I'm not yet at professional standards artisitcally). Six panels per page on average, so about an hour and a half per page? I'm not very patient with drawing so I just try to get it over with ._. Like everyone says it depends on the page. I'm in the unique position where I hire a colorist to lay down the flat colors for me after I finish the lineart, then I finish off the shading and everything else. However, not including the help They take about 2-3hrs. Something like 15 hours per page so far, from rough-writes to sketching, to penciling, cleaning, coloring, and lettering. Speaking of, I need to get back to my pages now! XD On average, I aim for 2 pages a week. Gotta say, it's really cool to see everyone's processes here!!! Now that I color my comics, Dragon Chapel and Po's Adventure, it takes me about 7-9 hours spread over three days, for each page. I've started using sketch cards as my canvas for line art in order to try and speed up production, but it still takes me a long time to draw - and my cartoons are pretty basic. I also just don't have a lot of time outside of work. My goal this year is to find my rhythm! It takes me around 4 hours to sketch and ink two panels (usually 1/3 of a page), but in december I was able to do a page in the same time. It really depends on so many factors, even your mood matters. It depends so much for me. When I do page where the characters talk and do nothing, it can take about 1-2 hours. My most recent page are those that took me 1-2 hour to make. However, when I do a page that have more the artistic touch, then it can take for me about 5 hours to make. 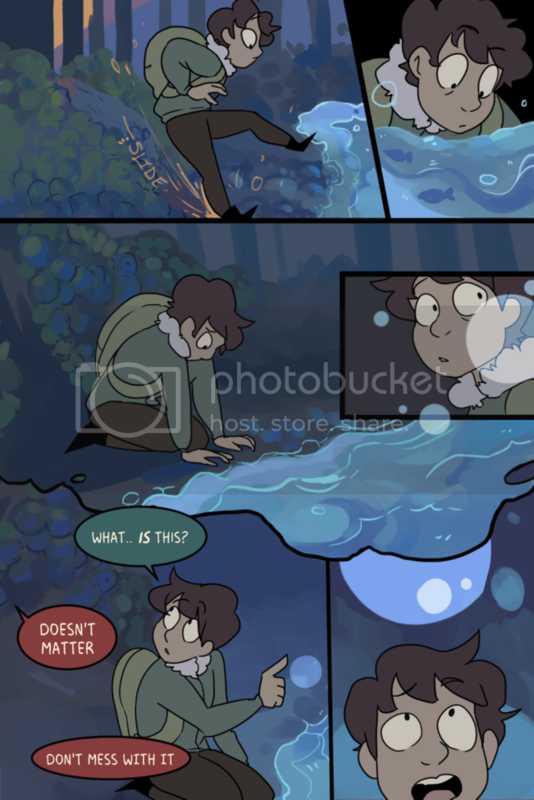 But one time, there is a page that made me take DAYS to complete. Not because it was difficult to draw (it was really simple pic), but what I did was such a dark and emotional scene, so it was just hard for me to sit and draw it. I had to something else just to make feel better. Now, I've finished that page, however, it's not out yet in Tapastic. Haha way too long is propbably the correct answer! 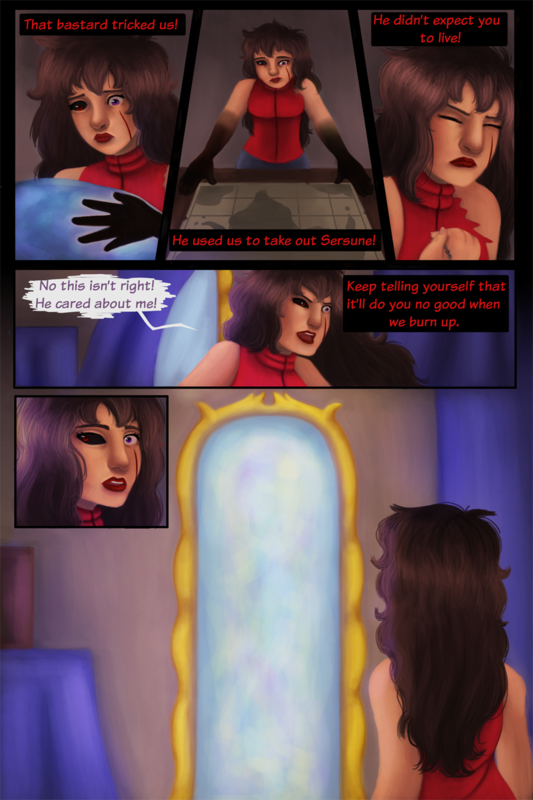 My latest page probably took around 4 days to do, though I wasn't spending full days on it. Overall I'd say it takes about 18 hours a page and the colouring is the majority of that. Probably takes about 1 hour to sketch, 3 for the lines and another hour for the flats- so really colour intensive for me!